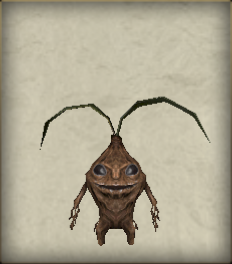 A Mandragora that has undergone the most basic growth. According to ancient texts, its ancestor was a highly dangerous plant. After the ancients spent many years and made a lot of sacrifice to improve it, it developed limbs and took kindly to people, though in exchange for its maddening screams.